Philip A. Bareck has been with Katz Friedman since 1991, became a partner in 2003, and a shareholder in 2007. Currently, he is an Adjunct Professor at IIT Chicago-Kent College of Law teaching Workers' Compensation Law, has been selected as an Illinois Super Lawyer (5% of the attorneys in Illinois), included in Best Lawyers in Workers’ Compensation Law, awarded inclusion in Top Trial Lawyers (American Trial Lawyers Association top 100 Trial Lawyers for Illinois), Top Attorneys in Illinois, selected as one of America’s Most Honored Professionals, nominated as “10 Best” Workers’ Compensation Attorneys for Illinois by the American Institute of Legal Counsel (AIOLC) and selected by his peers to be a Leading Lawyer in Workers' Compensation Law (fewer than 5% of all licensed attorneys in Illinois). His practice concentrates in representing injured employees in Workers’ Compensation and Occupational Disease cases before the Workers’ Compensation Commission, Illinois Circuit, and Appellate courts. He has successfully represented thousands of individuals with a vast array of injuries and has deposed hundreds of physicians in order to protect and preserve his clients’ rights and entitlements. Moreover, he has secured future medical rights and ongoing treatment for his clients requiring long-term care. 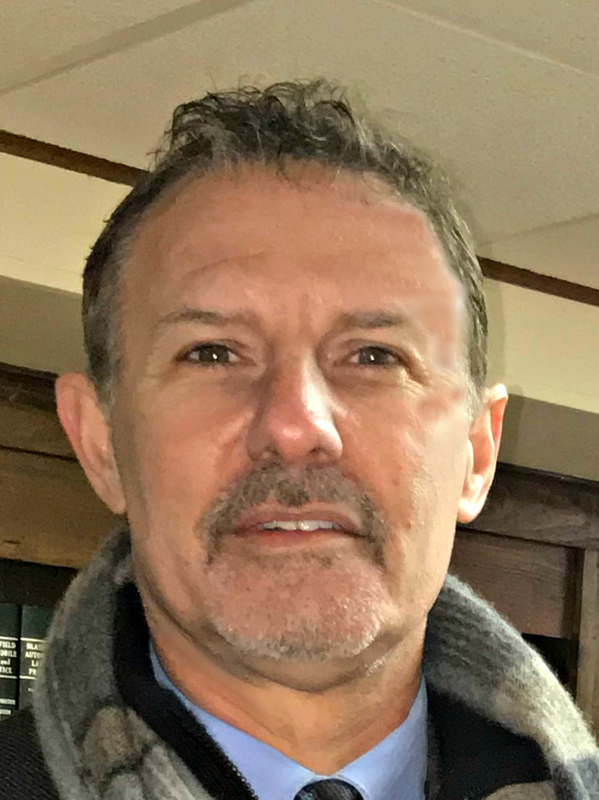 Philip has spent his career fighting against Caterpillar, Fiat-Chrysler, Knapheide, the State of Illinois/Illinois Veterans Home, UTC Hamilton-Sundstrand and other large and aggressive companies in Illinois. In 2016, he won a significant Appellate Court decision in Dunteman v. Caterpillar in which the Court found that an employee’s self-treatment, at home, for a work-related injury, which worsened the condition, still remained covered by the Illinois Workers’ Compensation Act. He has spoken to various lawyer groups concerning the Dunteman impact in Illinois and was interviewed and quoted in Work Comp Central concerning the Dunteman decision. Philip has been a regular speaker/faculty member on workers’ compensation topics for the Illinois Institute of Continuing Legal Education (IICLE) seminars, presented at the Chicago Bar Association, Rockford Bar Association and is a frequent speaker at Union meetings, Retiree meetings, and Labor Law/Workers’ Compensation Workshops in Illinois. He traveled the state as a speaker/presenter on the 2011 Illinois Workers’ Compensation Reform, authored an article captioned “Workers’ Compensation Reform Arrives” in the September 14, 2011 Chicago Daily Law Bulletin, and was quoted in the Chicago Tribune Business Section concerning the 2011 changes to the Illinois Workers’ Compensation Act. He earned his undergraduate degree at the University of Illinois in 1988 and obtained his law degree from IIT Chicago-Kent College of Law with High Honors in 1991. He was taught workers’ compensation law by Warren Eagle, who was an adjunct professor at the law school and was Philip’s mentor and partner until his retirement in 2010. Philip continues to be very active politically in his community and is a staunch advocate for injured workers’ benefits, union members’ rights and protecting victims of accidents and injuries. He is married to Margaret, his law school sweetheart, and they have three children. 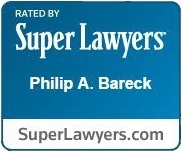 Philip A. Bareck was named as "Best Lawyers in Workers Compensation Law"
Philip A. Bareck was named as "Illinois Super Lawyer"
Philip A. Bareck was named as "Top Attorneys in Illinois"